The year is coming to an end, and lists seem to be the thing to do right now—so I'm jumping on the bandwagon. Unlike the rest of the Kotaku crew, I'm relegated to a part of the world where mainstream games and the like aren't released. Traditional gaming platforms such as consoles are a gray market commodity and a solid internet connection is wanting. So in a bit of a departure from Richard's, Tina's, Luke's, Fahey's and Jason's posts (and whatever posts that will come), I'm going to go with the top 5 Chinese games that I've played in 2013. Of course that doesn't mean I haven't played any other games besides these. I really enjoyed The Last of Us, BioShock Infinite, The Legend of Zelda: A Link Between Worlds, but this list is, for diversity's sake, China-oriented. One thing to keep in mind: this is just my list. Chinese companies and websites will pull out their lists around February for Chinese New Year, when the "year ends" in China. I'm not really sure what to write here except that this game is pretty awesome. Developed by Sega in partnership with Chinese publisher and developer Perfect World, Saint Seiya Online takes the player into the fictional world of the Japanese manga Saint Seiya. Getting to play as one of Athena's saints is quite the kick, and this is a great game for Saint Seiya fans. On top of the awesome source material and the pretty cool graphics, this game has some of the best Chinese voice acting around. Also... every time I beat up a bad guy, I can't stop myself from shouting "Rozan Sho Ryu Ha!" Developed by South Korea's NCSoft, Blade and Soul is probably my favourite online game that I've played in a while. If Saint Seiya Online wasn't based on, well, Saint Seiya, I'd probably be playing a lot more of Blade and Soul over SSO. Everything from the deep and super customisable character creation to the combo-based battle system, Blade and Soul is one of most fluid online multiplayer games released in China to date. It's kind of a shame that it wasn't released earlier. Perhaps China's take on Diablo, Asura Online is one of China's best home-developed games of 2013, if not one of the best from the past three years. My co-workers at my day job might not be too keen on it, but I really like it. 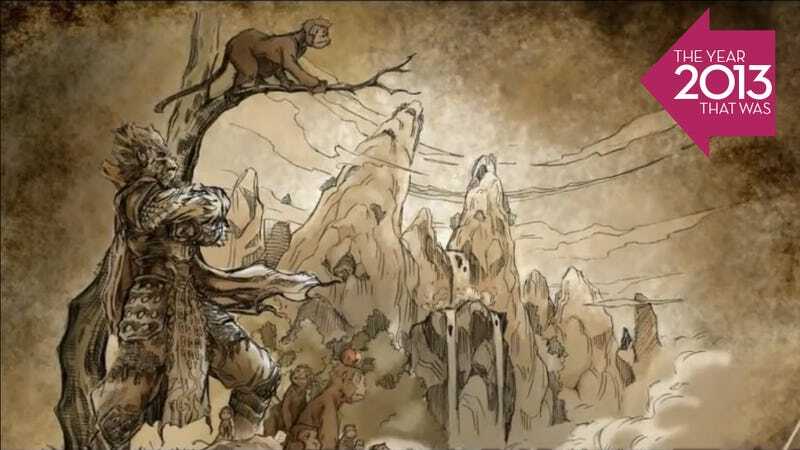 At the same time expanding on and deviating from the popular source materials often found in Chinese online games, such as Three Kingdoms or Journey to the West, Asura Online depicts the turmoil between demons and humans, all wrapped up in a martial arts fantasy. What happens when you take popular fictional characters and throw all regard for intellectual property aside? You get the Chinese League of Legends/Defense of the Ancients clone 300 Heroes. Like every other online battle arena game to date, 300 Heroes doesn't change the formula up much. That doesn't matter. In what other game can you play as Donkey throwing Shrek around the battleground? Continent of the Ninth Seal, AKA C9, escaped my radar for most of 2013. While it was heavily advertised during this year's China Joy, for some odd reason I never got around to playing it. Of all the games I've played in 2013, I've probably spent the least amount of time playing this one, but I'm confident enough to say that this is one of the best online games released in China this year. Developed by South Korea's Cloud 9 and published by Chinese WebZen, C9, like Blade and Soul, is graphically pleasing and simple to play. Similarly to B&S, the combat is based on combos. What makes this game different from all the other MMOs in China is that it's an action-oriented game. The player can roll, dodge and jump away from blows in combat. Western players might also be glad to know that this game has an English release. While these games are my favs for 2013, there are still loads of games to come in 2014! Monster Hunter Online and Call of Duty Online have both gone into beta and should be available to the masses soon. With investments from and co-development with foreign game studios, Chinese gaming is gradually getting better.